GREAT DAY, INC. - A COMPANY ON THE MOVE! Already America’s leading manufacturer of specialty accessories for ATV’s, UTV’s and trucks, Great Day continues to develop new and unique products at an amazing pace. For over twelve years, the popular Great Day line has been made exclusively in the USA and now includes over 200 items. All our products were designed to fill a need and engineered to get the job done! Great Day, Inc.–—A Company on the move! Riding Lawnmowers have the power and the low center of gravity to be natural towing machines. 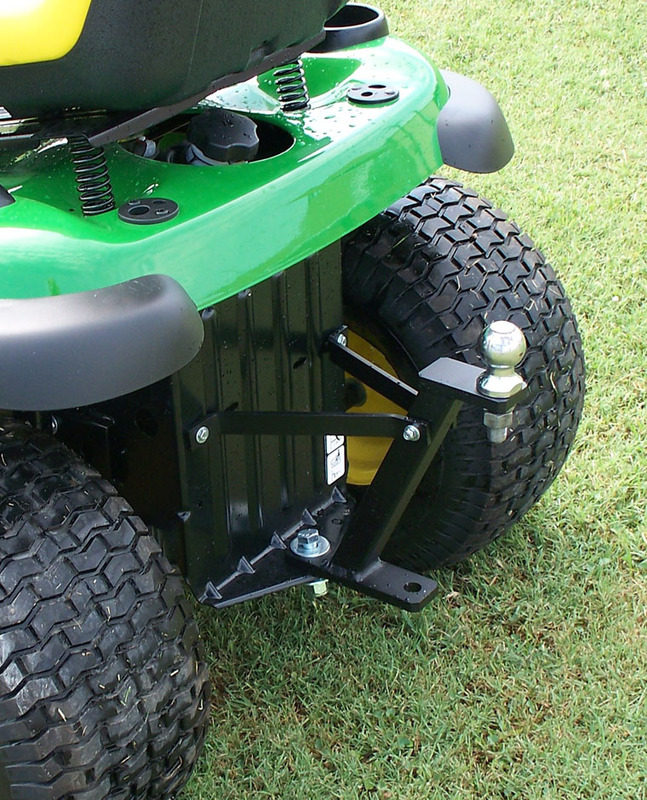 With the Hi-Hitch, a regular riding mower can be transformed into one of the handiest tools ever for pulling small trailers. Great Day Quick Draw Bow Fishing Rack is used to secure and store bows to the shooting deck of Bow Fishing boats. 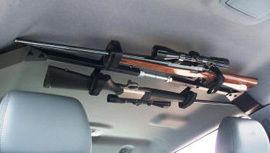 It is especially important to secure bows when transporting and changing locations. 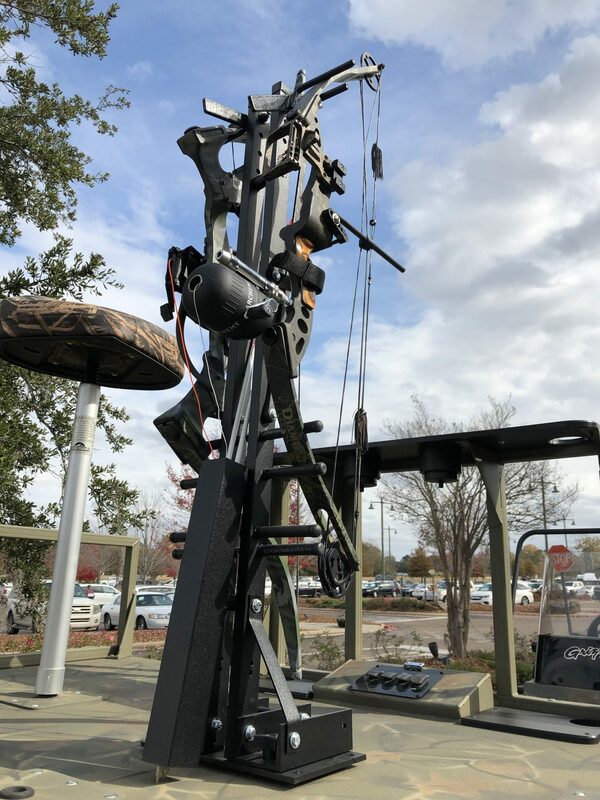 The Quick Draw Bow Fishing Rack mounts compactly and securely to the deck of the shooting platform of a bow fishing boat--- allowing freedom of movement for the shooters. 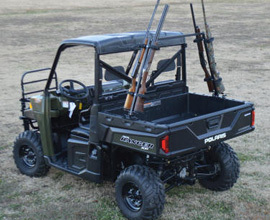 Shooting sporting clays is a great outdoors activity, but it requires an extraordinary amount of care in transporting firearms. Usually expensive, high-quality firearms need protection from damage.